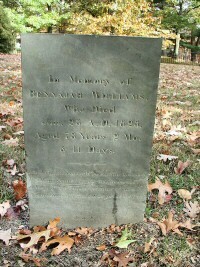 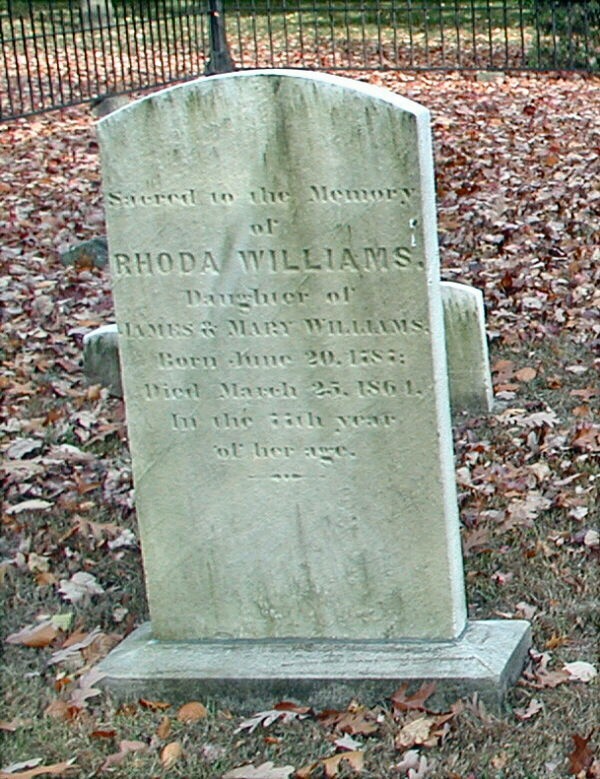 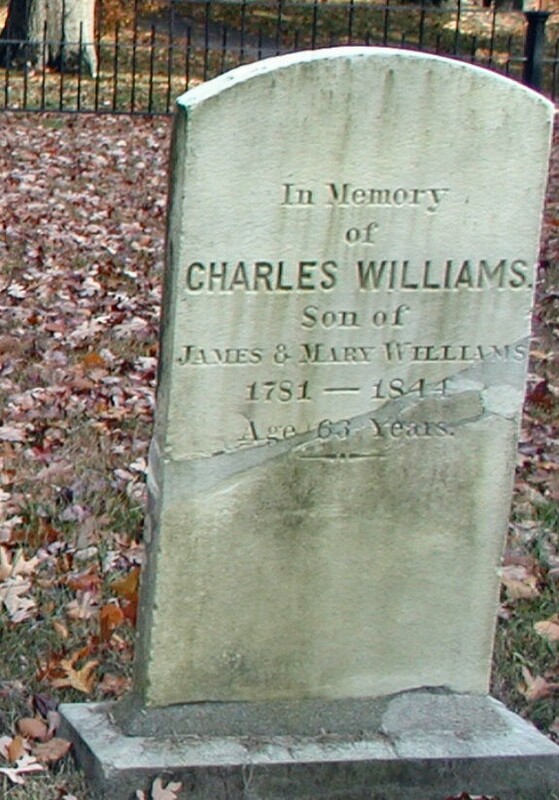 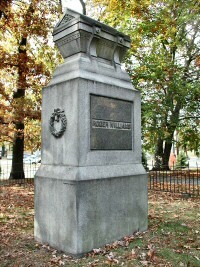 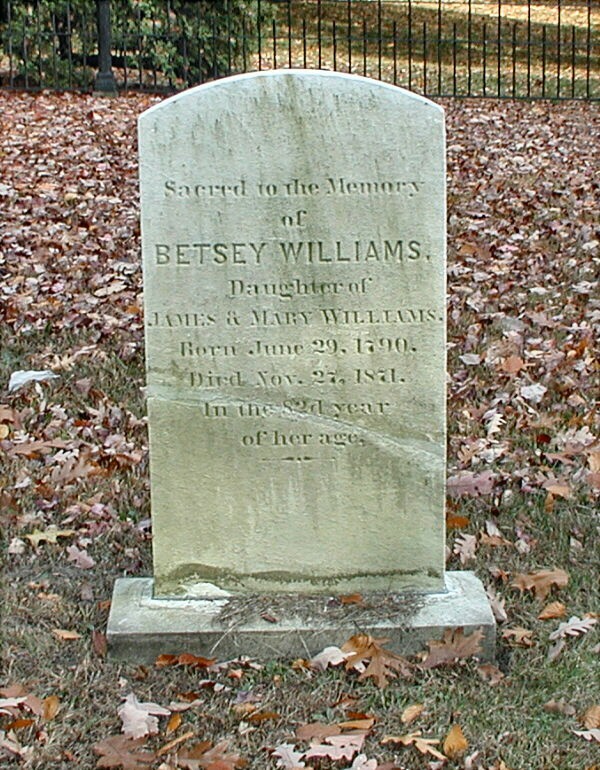 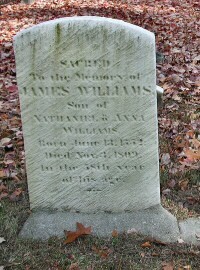 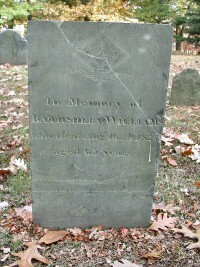 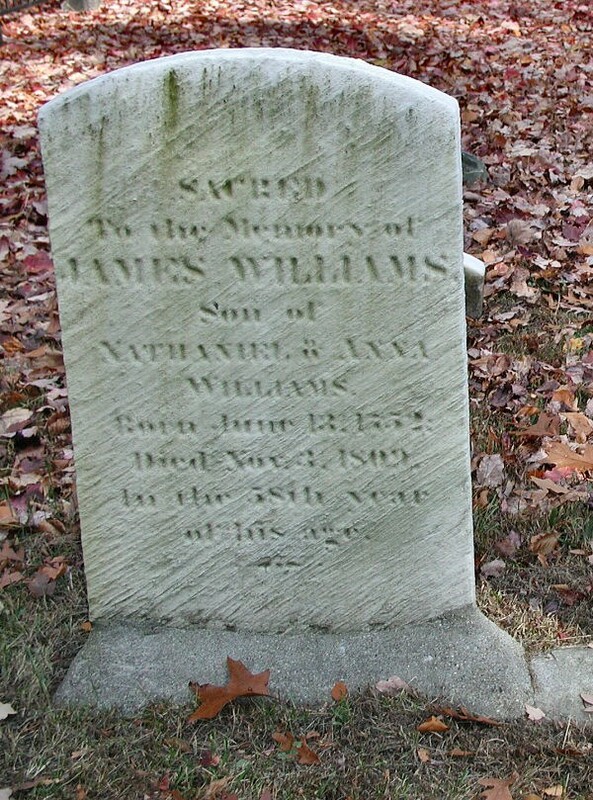 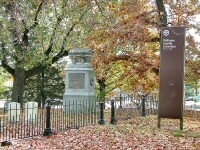 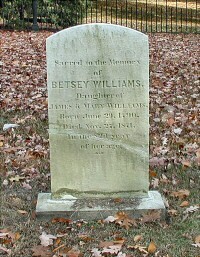 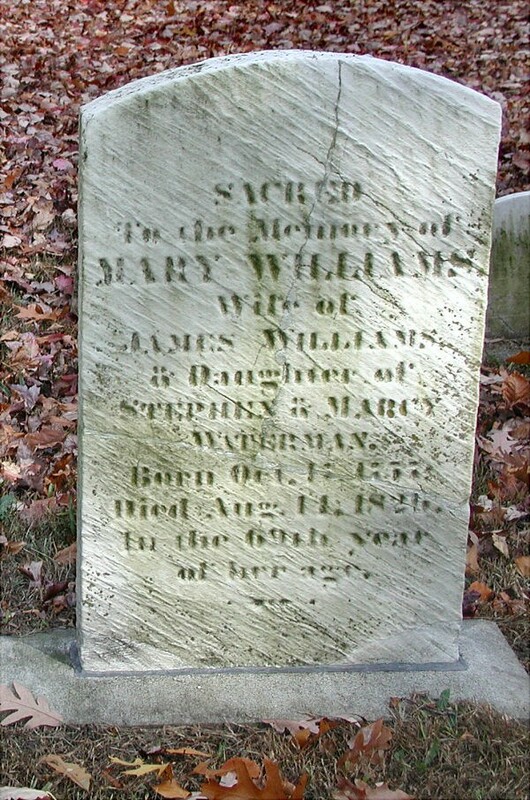 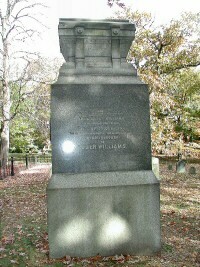 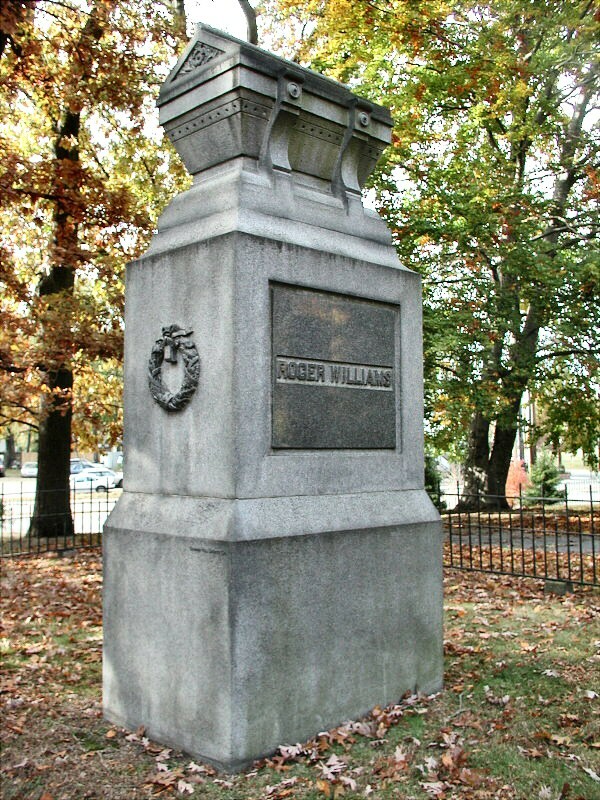 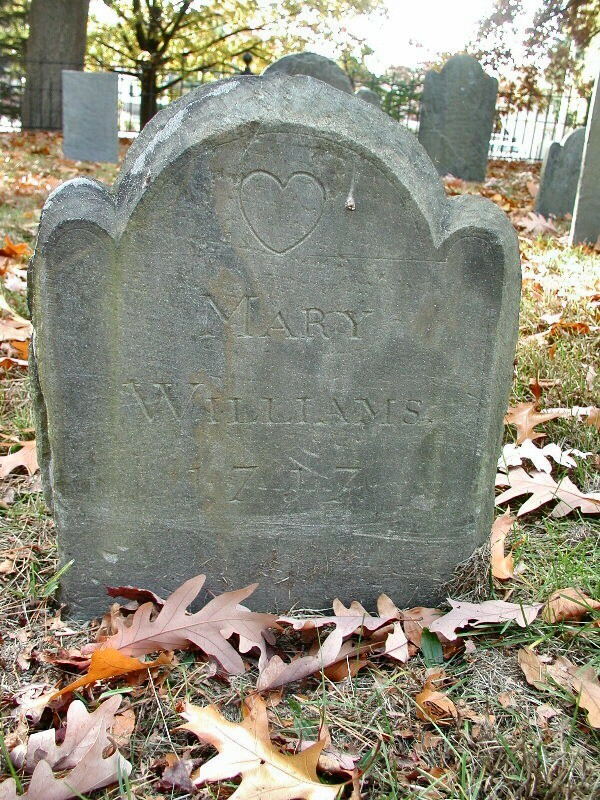 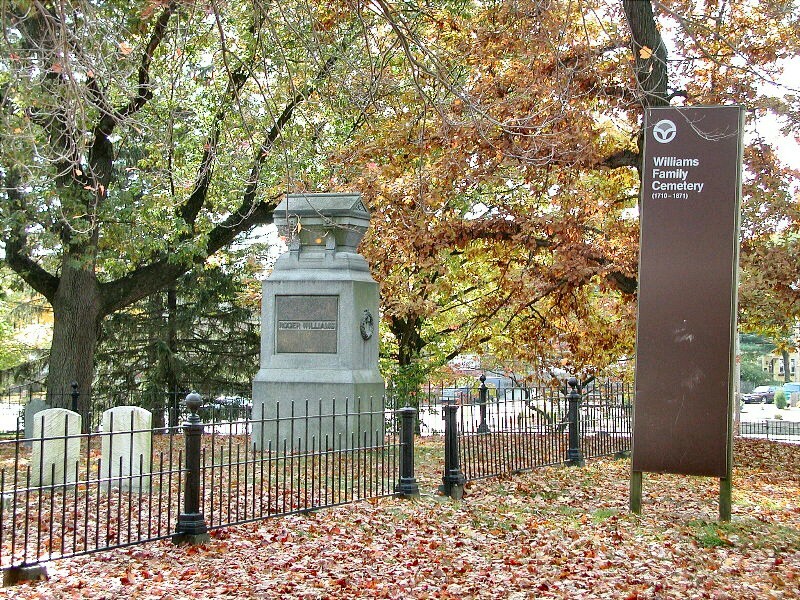 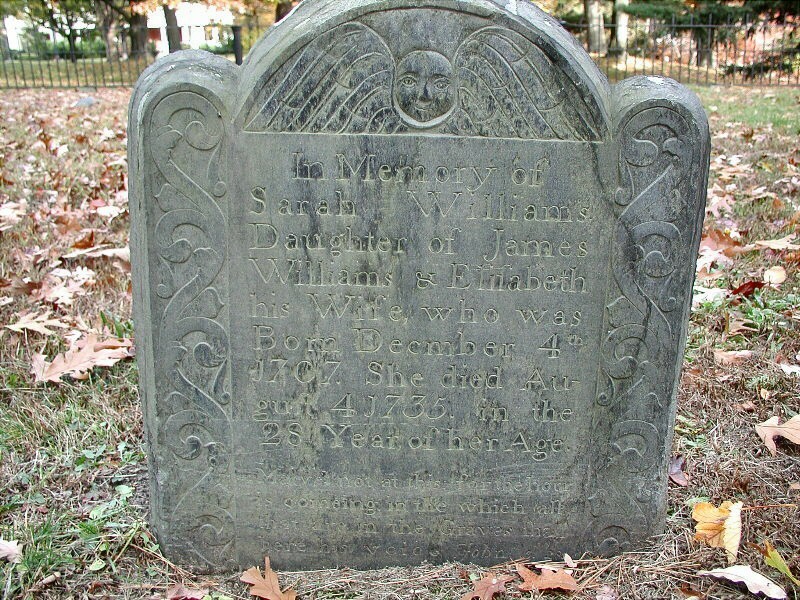 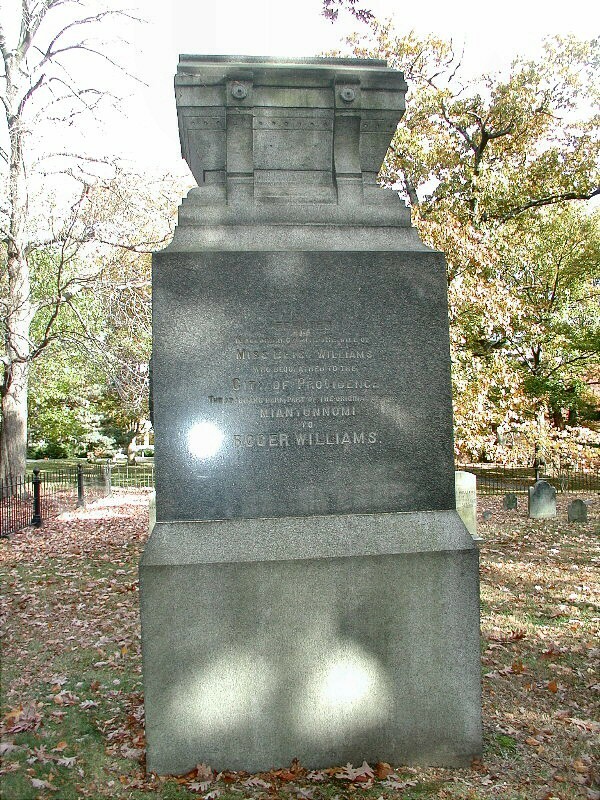 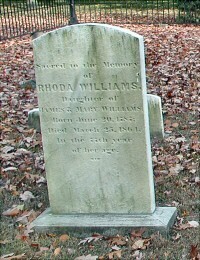 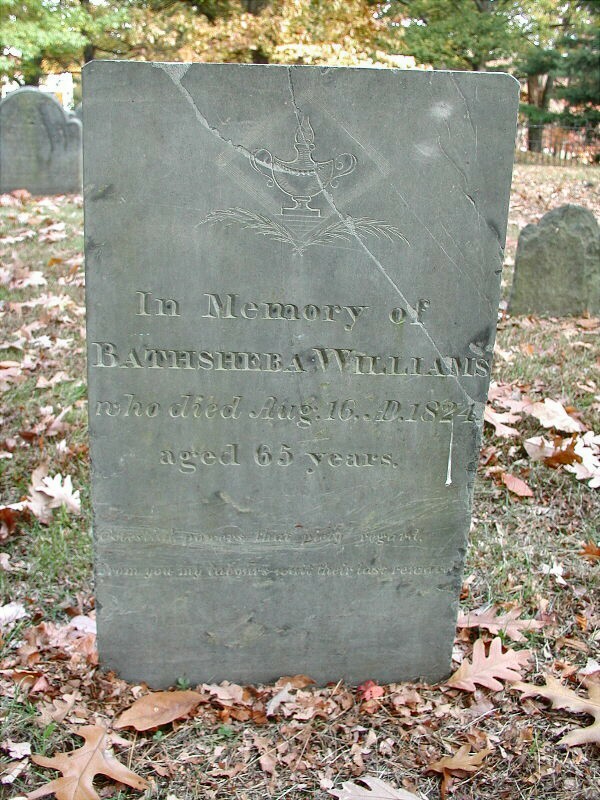 Williams Family Cemetery, 1710 - 1871, located in SW part of Roger Williams Park, containing the Roger Williams monumental stone, erected per request of Betsy Williams, Providence, RI. born Oct. ? 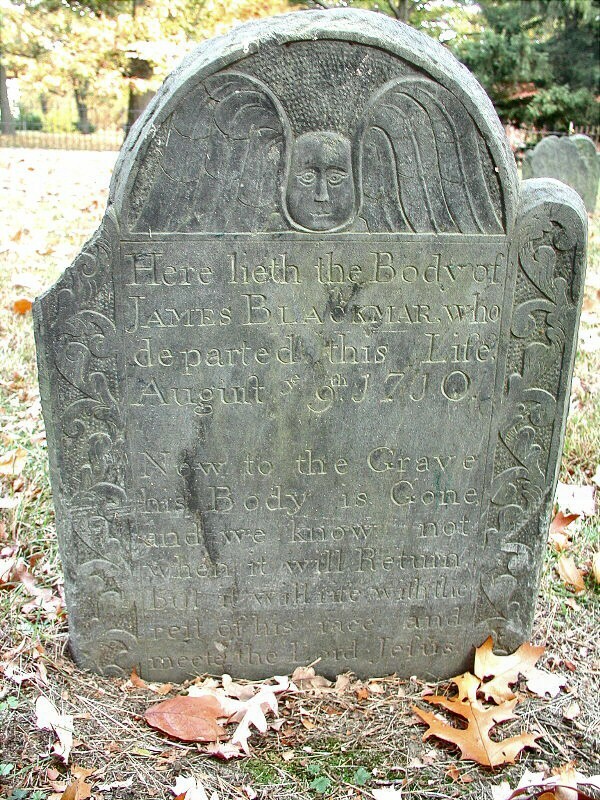 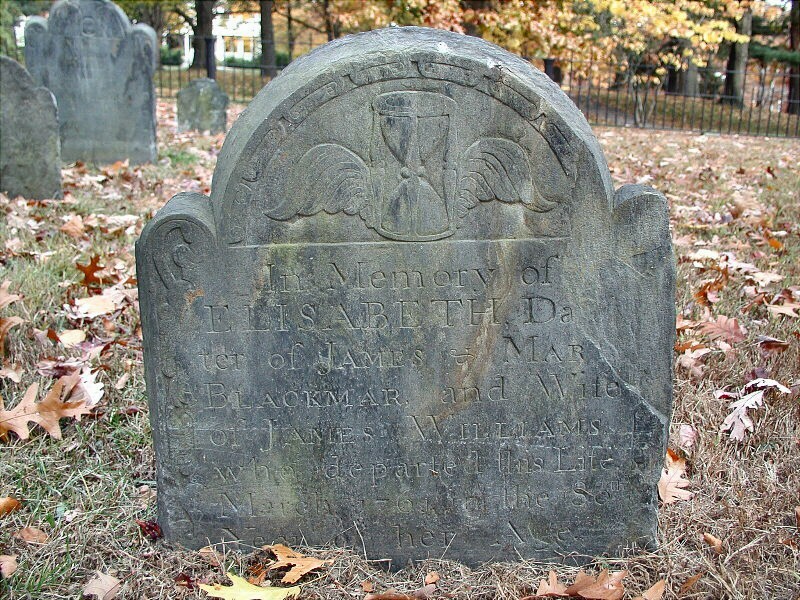 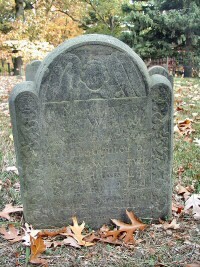 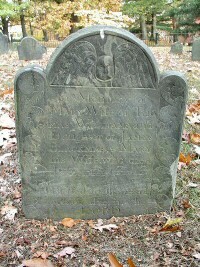 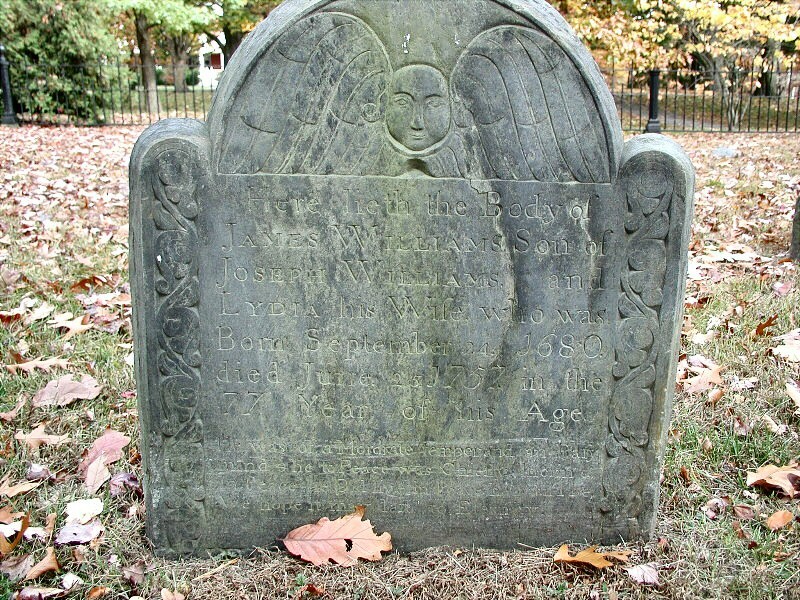 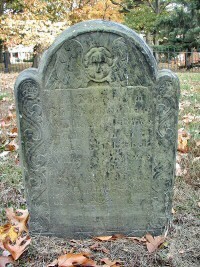 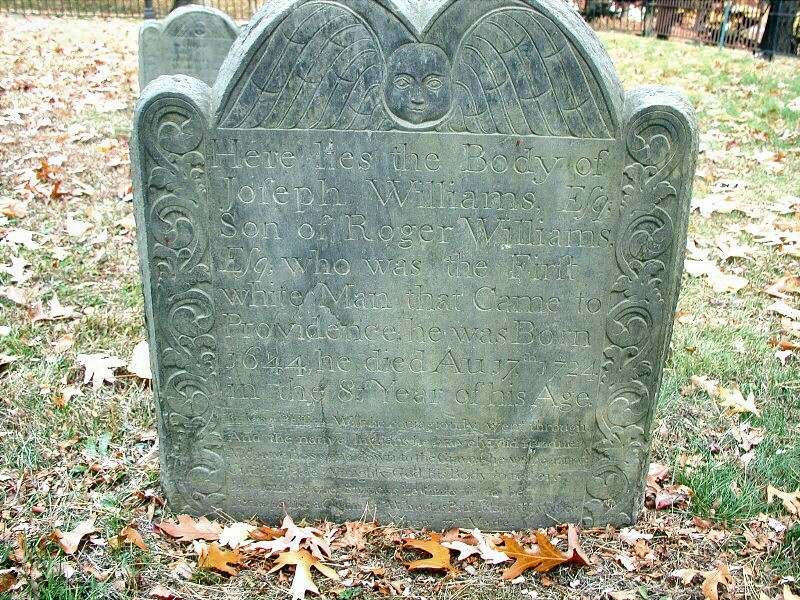 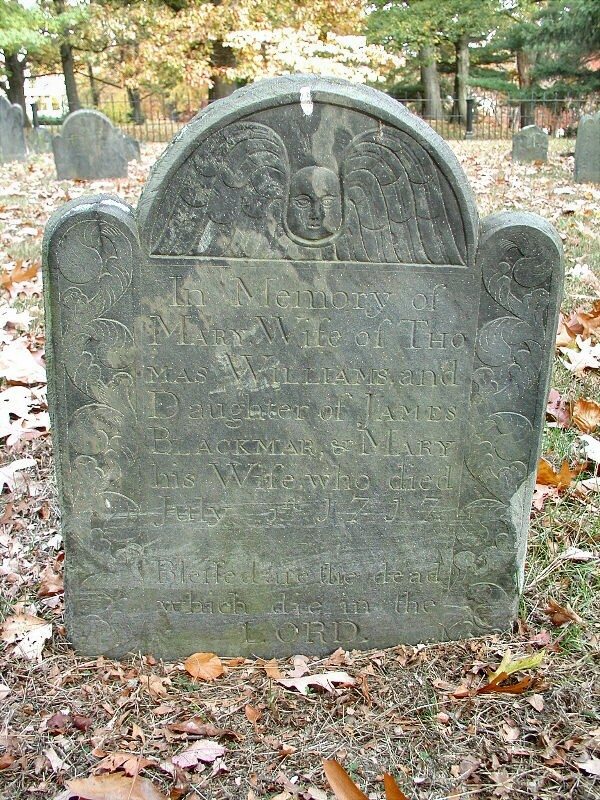 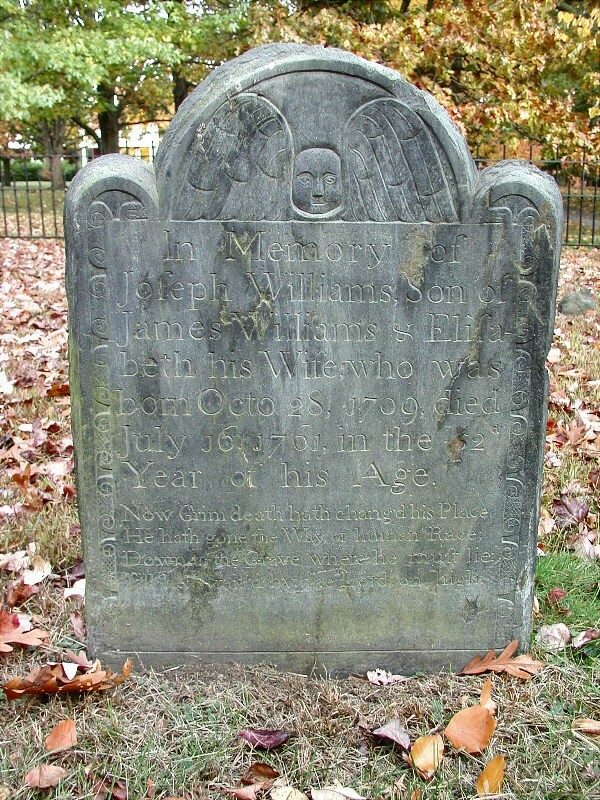 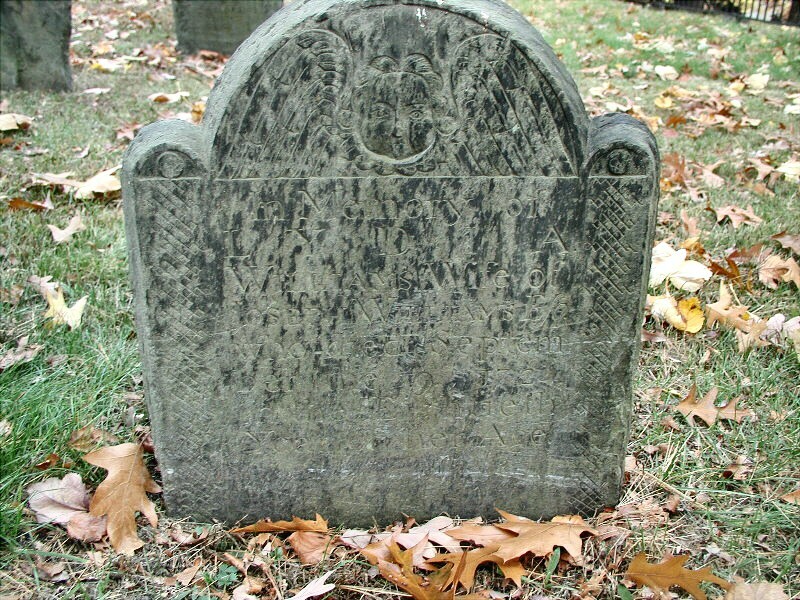 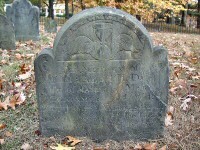 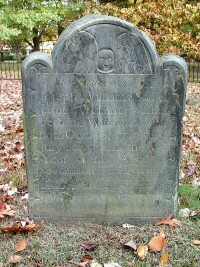 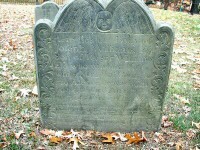 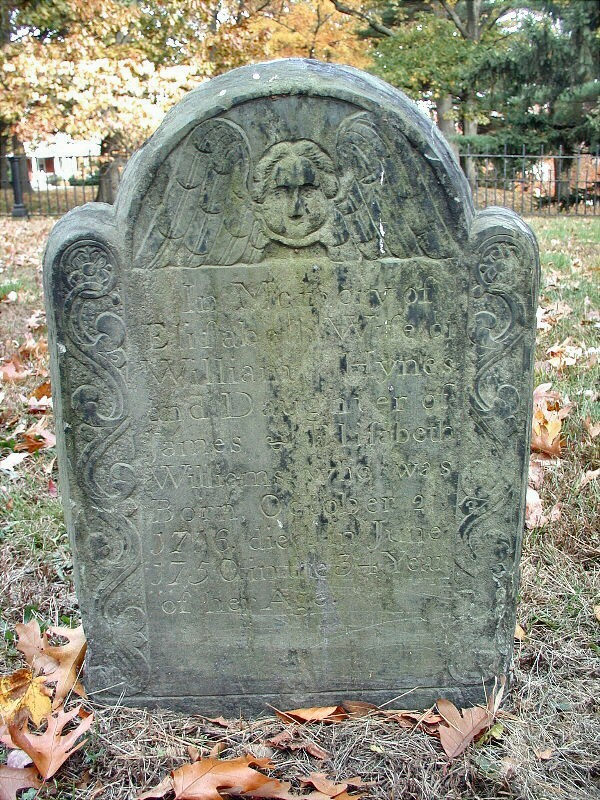 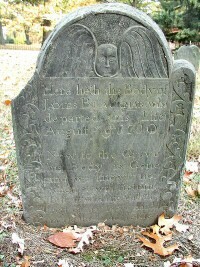 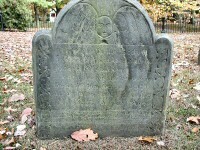 ?, 1757, died Aug. 14, 18?? 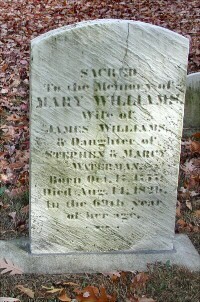 in the 82d year of her age. Till he ... by the Lord on High. and now he's gone down to the Grave ..
from you my last labours wait their reward. 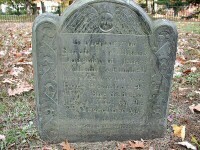 There were other unreadable field stones in the fenced in yard.